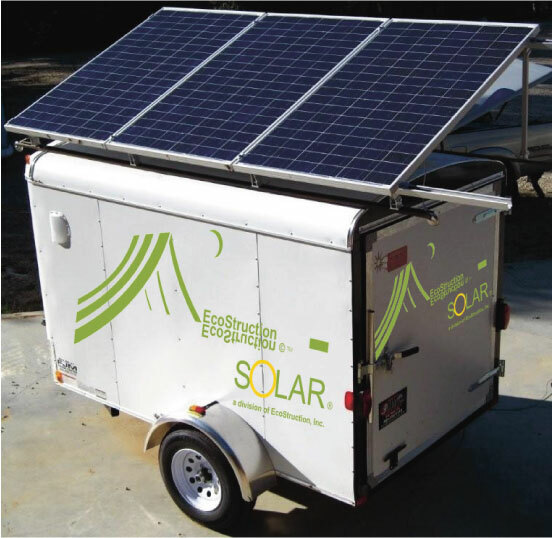 EcoStructionSolar has available their Custom Built Solar Generator that provides quiet, efficient and economical energy. Provides construction power to remote sites without grid power. An environmentally clean alternative to diesel generators. Featuring 210 watt EVERGREEN high quality String Ribbon solar panels made with the latest generation of their revolutionary wafer technology. EVERGREEN solar panels combine exceptional performance and industry leading environmental credential. Contact EcoStruction for further information.